The multi-starrer film Total Dhamaal is a sequel to the Dhamaal film franchise. Director Indra Kumar has recreated the iconic song ‘Paisa Yeh Paisa’ from the Subhash Ghai directorial Karz for his next adventure comedy, Total Dhamaal, the third installment of his popular comedy franchise which is all about greed and people chasing money. 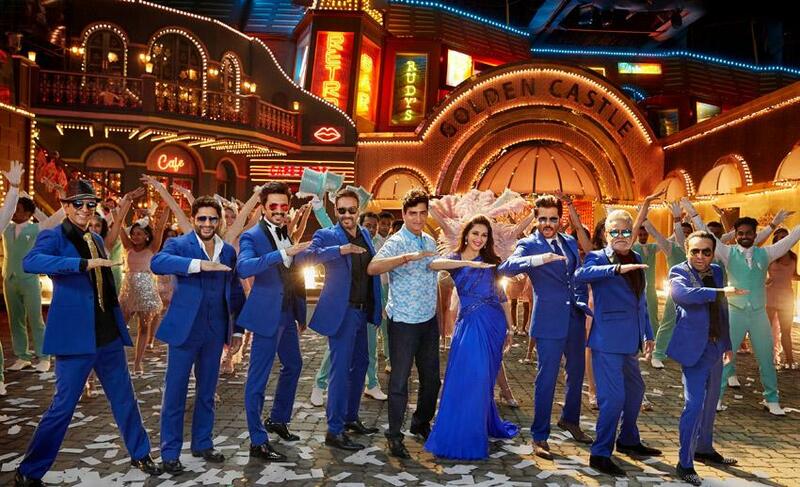 The recreated song features Javed Jaffery, Arshad Warsi, Riteish Deshmukh, Ajay Devgn, Indra Kumar, Madhuri Dixit, Anil Kapoor, Sanjay Mishra and Pitobash who had a great time matching steps to the yesteryear hit. Talking about the song, Anil Kapoor shares, “It feels great to be dancing to this classic number. I am matching steps with all these young stars and it feels great to be able to give it your best”. Madhuri Dixit cited Paisa Yeh Paisa as one of her all-time favorites. “I’m really happy that Indra Kumar has decided to revisit this classic number. It’s a song that I’ve grooved to for so many years. Even after so long, it retains its energy,” she said. Total Dhamaal, presented by Fox Star Studios, produced by Ajay Devgn Ffilms, Indra Kumar, Ashok Thakeria, Sri Adhikari Brothers and Anand Pandit, and co-produced by Jayantilal Gada and Sangeeta Ahir, releases on December 7, 2018.